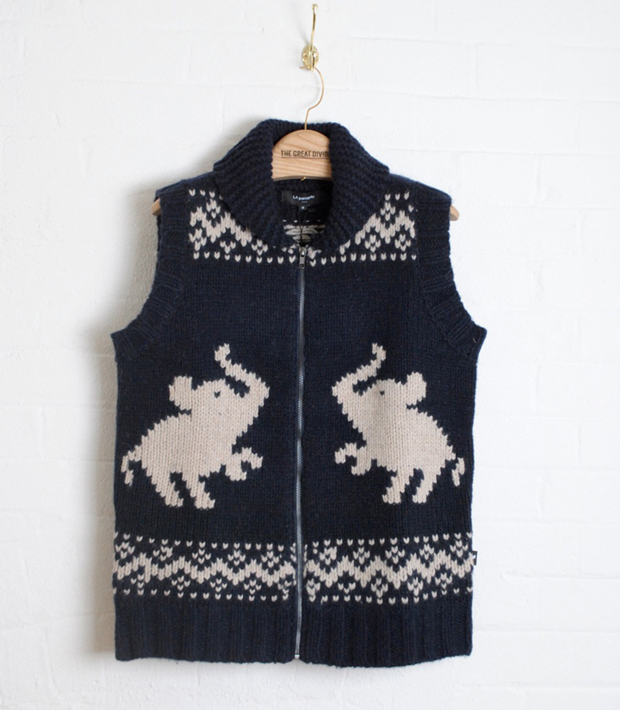 LA panoplie are a French brand that I have to admit are new to me, but I’ve fallen quickly in love with their knitwear, and here we have a perfect example of why – the Elephant Zip Cardigan – a diamond in the rough amongst the vast amount of Autumn/Winter knits. 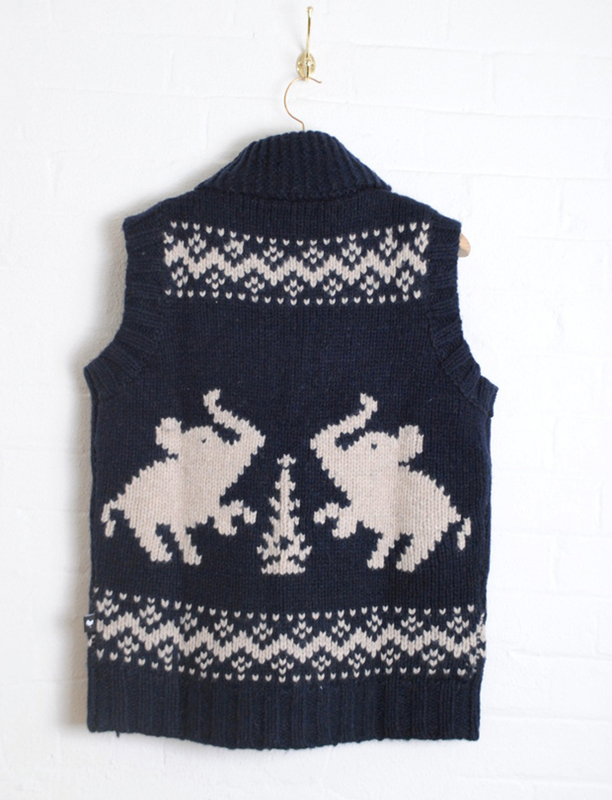 Like me, many of you might be more than a little fed up of the fairisle and ‘Christmas Jumper’ knitwear currently on the shelves of nearly every clothing store, but LA panoplie offer a refreshing alternative in the form of this Elephant motif lambswool gilet. The simple navy/white colourway is classic and easy to work into any outfit for this Autumn, the shawl neck makes it bang on trend, and the full zip helps the keep shape and avoids the sort of sag that often comes with knitwear. It’s always nice to see an item that sticks out from the rest. 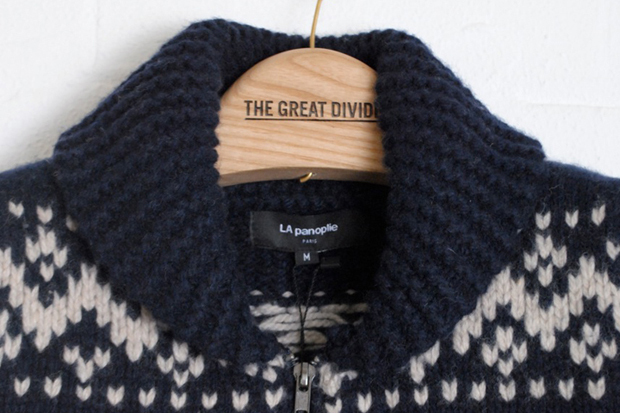 To add this one to your Winter wardrobe, head to The Great Divide now.